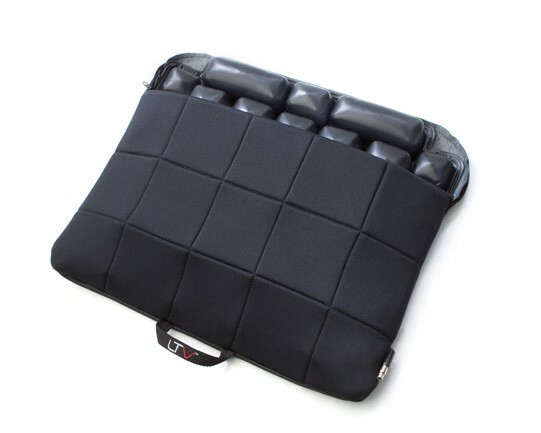 A plastic DRY FLOTATION cushion designed for comfort. The LTV is an air filled cushion with interconnected cells to allow immersion and envelopment. The cover provides some extra padding.